17:26 | Lima, Feb. 7. 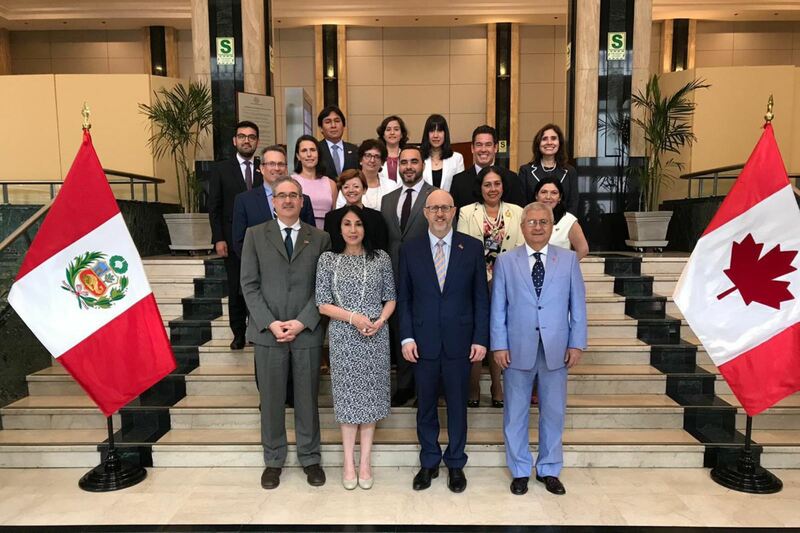 Peru's Managing Director of the Americas Elizabeth Astete and Global Affairs Canada's Assistant Deputy Minister of the Americas Michael Grant noted the excellent bilateral relations between the two countries. Likewise, they demonstrated strong political will to continue strengthening such bonds within the framework of the 75th anniversary of the establishment of diplomatic relations and the 10th anniversary of Peru-Canada Free Trade Agreement's (FTA) entry into force. Furthermore, the officials agreed to expand economic relations, as well as promote and diversify investment and bilateral trade. They also decided to strengthen and broaden cooperation in priority areas such as governance and institutional reinforcement, fight against corruption, fight against poverty and inequality, among others. Moreover, the officials underlined the high level of coordination at multilateral forums, especially the Lima Group, and the importance of alleviating the humanitarian crisis in Venezuela. Remarks were made at the 8th Peru-Canada Consultation Mechanism and Bilateral Coordination Meeting. The gathering took place at the Inca country's Foreign Affairs Ministry.